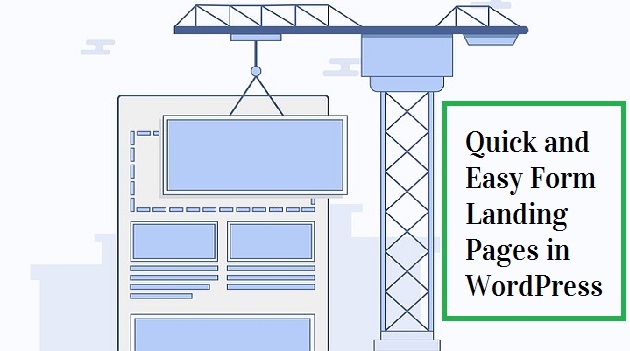 Let we see first some basic details about landing pages and after that we will see Quick and Easy Form Landing Pages in WordPress. Landing Page is a single webpage where the users (or) visitors will see it when they first view your website . And the purpose of using landing page is to capture the leads. 2.The visitor will not get distraction because the landing page focus on single product . 3.When we use pay per click ads , using landing pages is the best choice to increase the leads. 4.Creating Landing page is very easy and it takes less time. And another information is 32% of the websites are created with wordpress. Next thing wordpress has plugin options where you can set additional functionality to your wordpress website. Why Landing Page Plugin is preferred to use create landing pages in Wordpress? If you are new to wordpress plugin , then you need to understand, what is a plugin ? And so the landing page plugins can be better solution for this issue. Now You have question which landing page plugin is best for you? 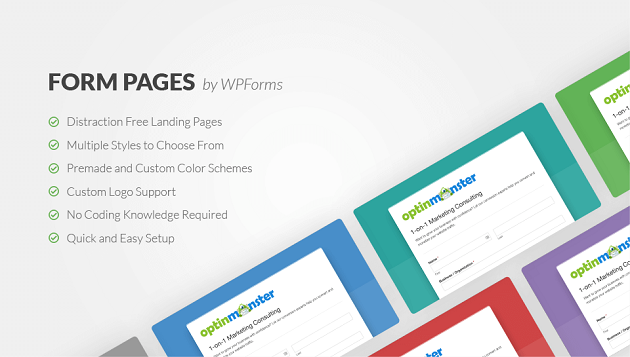 Here comes the WPForms where we can create stunning landing pages. WPForms is a smart form builder wordpress plugin with advanced functionalities. WPForms has 1+ million active installations. Average Rating of WPForms is 4.9 out of 5 stars. What is WPForms Form Pages Add on and what can be done with this addon? WPForms comes with a Free plan (WPForms lite )and Upgrade Pro plan. WPForms has more Powerful Addon Features and you can unlock it using by going to PRO Plans. WPForms mentioned their advantage of using their Pro plans and i am sharing here. WPForm Form Pages Add on is a “distraction-free” Landing Page builder add on and you customize it upto 100%. If you are a complete newbie to coding (or) medium level coder (or) whoever may be using this Form Pages Add on , they can create landing page within some minutes without any coding. 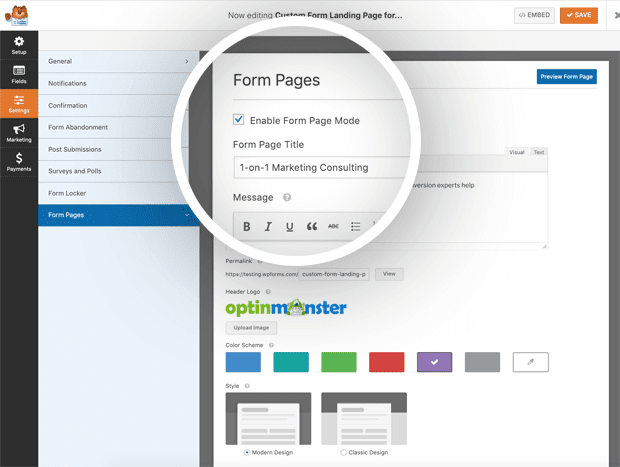 We need to set Form Page Mode in WPForms to create landing pages in the wordpress forms. We can add logos in the landing page. Form Pages Addon has 2 different styles at present .They are Modern Design and Classic Design. We can pick different colors using the Color Scheme option. More Lead Captures: Build Email List of targeted audience to huge level with simple signup button in the single landing page. Use in Feedback, Polls and Surveys: Whether it is a Event feedback form (or) Equipment Checkout Form (or) Cancellation Survey Form to bring more profit (or) to analyse changes in your business , having a webpage to direct users to is simple and easy with the Form Pages Addon. Events: If you need people to RSVP [a process for a response from the invited person or people. It is an initialism derived from the French phrase Répondez s'il vous plaît (from wikipedia)] to an upcoming event, whether it be a business conference or a child’s birthday party, add your invitation and RSVP forms to webpages and invite people to reply.